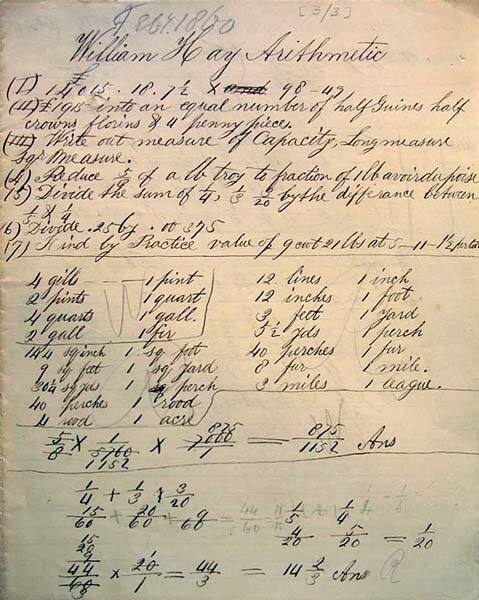 In 1860 William Hay, a pupil at one of Canterbury province's schools, was given some arithmetic homework. It was later kept as an example by one of the school inspectors. In an age of metrics, the problems seem especially intimidating.